Easy, tasty, chocolate-y peanut butter cookies! 1/2 cup or more of chocolate chips, raisins, nuts, or a combination of your favorite add-ins! Pre-heat oven to 350 degrees. Lightly oil baking sheet. 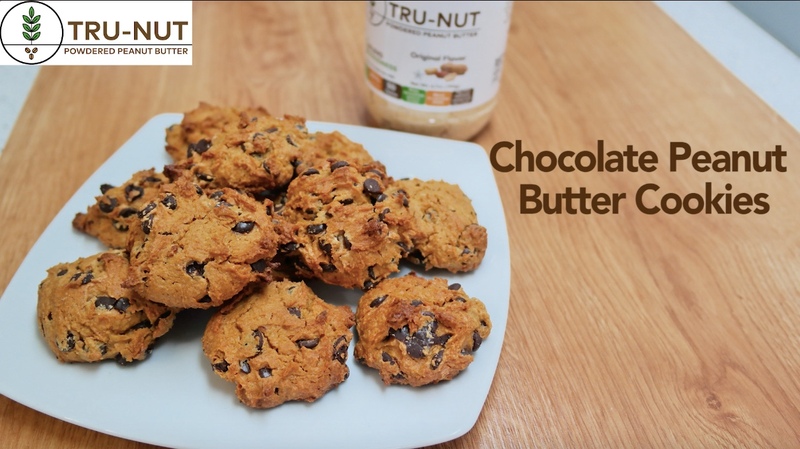 In a small bowl, combine Tru-Nut Peanut Flour, baking powder and salt. In a large bowl, mix butter and sugar. Add flour mixture and vanilla extract to large bowl and mix well. Drop by teaspoonful onto prepared baking sheet. Bake for 15-20 minutes until they appear done.